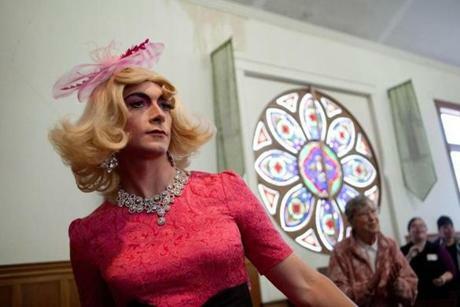 James Adams, who performs as a woman under the name Serenity Jones. 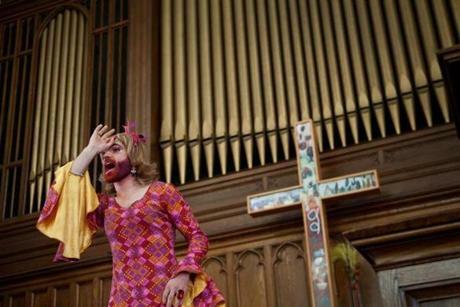 dreamed up the drag gospel worship service, now in its second year. 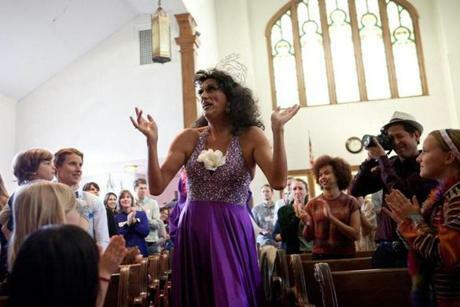 Porcha Lynne performed following the drag gospel worship service Sunday at the First Church Somerville. Bobbie Pinz watched the performances. Money raised from the event will go to support the LGBT Asylum Support Task Force. Lady Gigi Gill performed at the festival. The Rev. Jeff "Fabiola Feast" Mansfield performed. 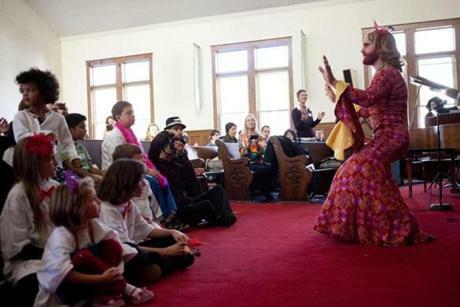 The grag festival was not part of the morning worship service, but was held afterwards.